Originally from New Jersey, Linda started her career as a teacher, then moved to the world of travel. 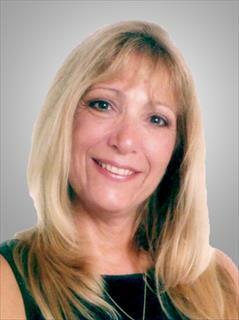 Linda owned a travel agency in Wayne, NJ and later worked in corporate travel with American Express. In 1996, Linda decided to change careers and enter another service industry of Real Estate. Linda has focused on waterfront properties in Fort Lauderdale and the surrounding areas of Miami, Delray Beach, Pompano Beach and more. "It is important to learn about other communities in order to give the clients more opportunities to find the right home for their needs." Linda enjoys a challenge, and has expanded her knowledge into commercial real estate as well. "This opens doors to many exciting opportunities." she says, and continues to learn about the Real Estate market everyday. Besides working, Linda enjoys scuba diving, snow skiing, cooking and traveling. For a truly professional experience, trust in someone who will listen to your needs and help you find it in the shortest time possible, for the best price.